Determining the year in which an outboard motor was manufactured can be easily accomplished. Outboard motors first appeared before the turn of the century. 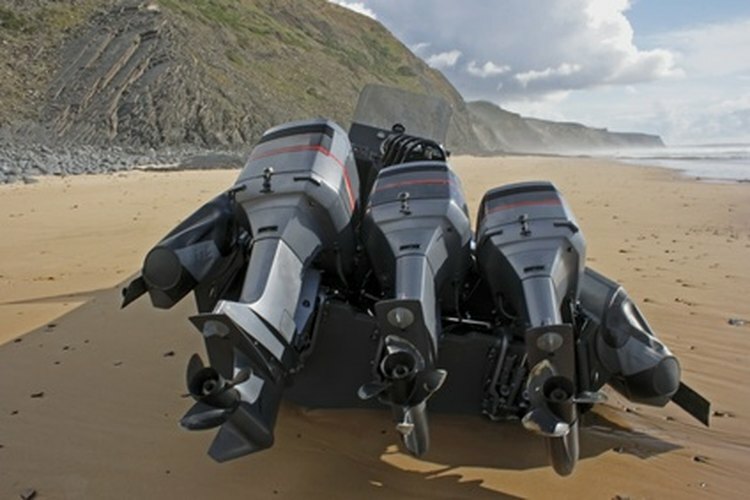 Manufacturers such as Force, Johnson, and Evinrude are well known and trusted in the field of outboard motors. Depending on the manufacturer, determining the year in which an outboard motor was produced will differ. One key factor to remember when researching the manufacturing year for various outboard motors is the the manufacturing company's current versus original name: For example, OMC/Mercury bought out the Force brand; and in the early part of the 21st century, Bombardier bought both the Johnson and the OMC brands. Locate the mounting bracket: The model number and the serial number are engraved on the transom bracket. Check the placard to ensure a state registration decal is in place. Utah, Texas, Oklahoma, Ohio, Missouri and South Carolina require a separate registration for outboard motors. If applicable, locate the registration decal. Contact the state registration department with the identification number. The state registration department will send a copy of the registration, which will determine the year in which the Force outboard motor was manufactured. Locate the serial number on the mounting bracket of the outboard motor, or the silver plug on the top of the motor. The serial number is a combination of numbers and letters. Write the serial number down. Decipher the serial number using "INTRODUCES" as the key code. Each letter is represented by a corresponding number: 1 = I, 2 = N, 3 = T, 4 = R, 5 = O, 6 = D, 7 = U, 8 = C, 9 = E, 0 = S.
Locate the final three numbers to determine the year. In a serial number xxxxxCCx, CC represents 88 or 1988. Decoding the manufacturing year for Johnson outboard motors made earlier than 1968 requires research on the Bombardier website.